Our client was a delight to work with. 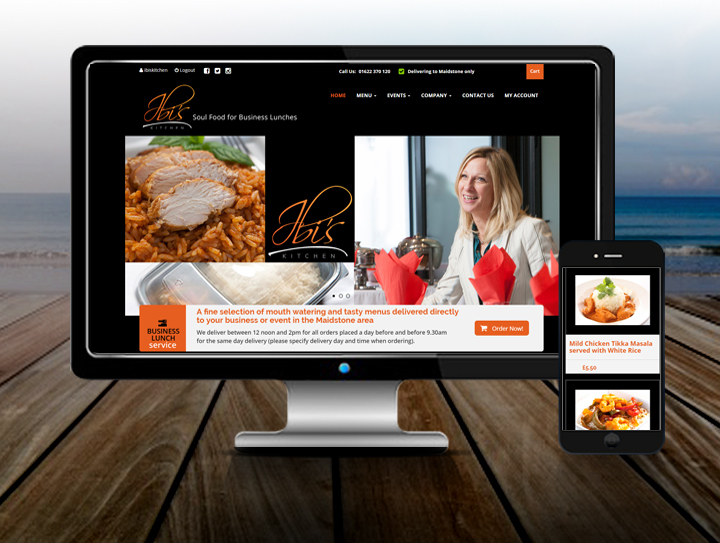 Ibi’s Kitchen approached us in order to launch a website for their new business. They cook and deliver soul food menus for lunch to businesses and events in Maidstone. They had a concept in mind which we undertook to their requests. This was to include many high quality images and have a colourful and fresh look and feel. We integrated the payment and credit card facility for the online ordering system. We tweaked and developed the WordPress theme with the user in mind. As the customer navigates the site, they are well informed and given a good ordering experience in every way possible. The responsive mobile and tablet layouts are very sharp, usable and customer friendly. This works well on all device platforms and is very easy to navigate and scroll through the site. The SEO work included building keywords into the back-end of the website, creating links to and from social media for a very Google friendly website.